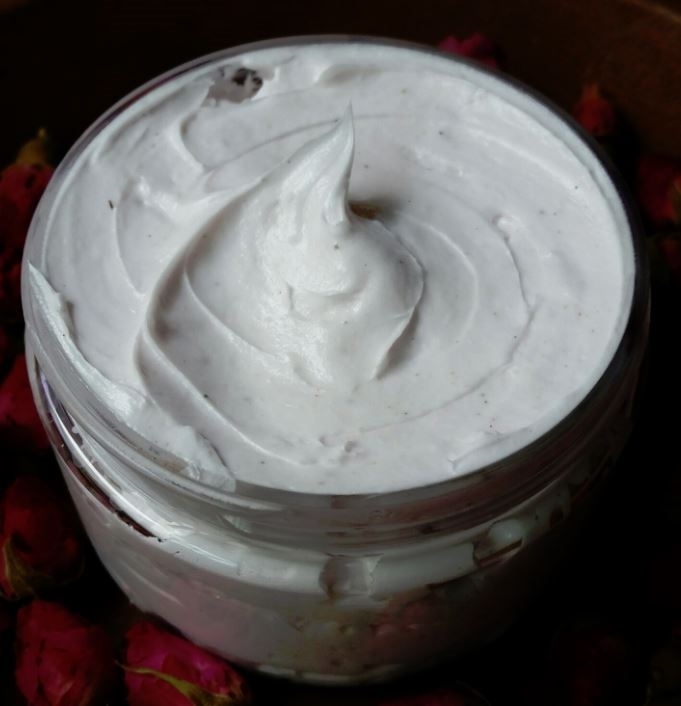 4 ounce whipped soap smelling of sugary red rose jam and sweet red tea, gorgeous and soft. Blended with ground rose-hip seeds. Butylcarbamate, Tetrasodium EDTA, Rose hip seeds, and Fragrance Oils.